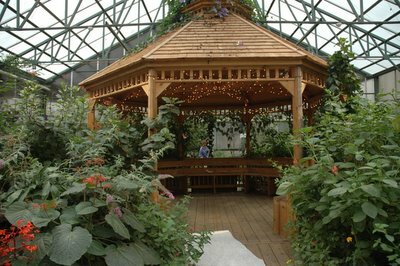 Share your special day with thousands of butterflies in a lush, tropical environment. 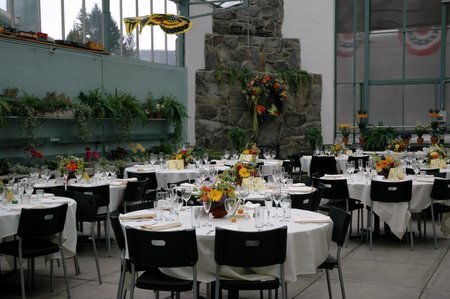 Each wedding package includes admission into the conservatory for up to 25 people (wedding party and guests). 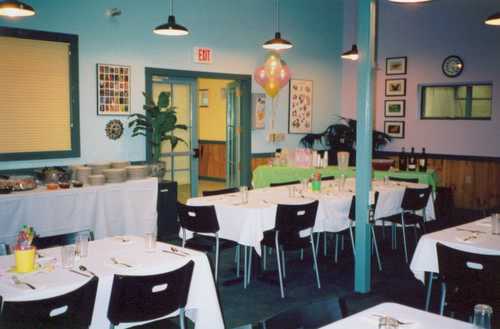 Additional guests are welcome at an additional charge of $10.00 per person. Conservatory seats up to 100 people. You may use our Justice of the Peace or your own officiant. A company photographer is available, or you may use your own. Photography packages include 48 4x6 pictures in an album and your negatives. Our on-site photographer will take photos prior to, during, and immediately following the ceremony. Rates are available for additional rolls of film or if you prefer a longer stay by the photographer. Magic Wings must provide your catering and beverage service. Please contact us at (413) 665-2805 to request a wedding information packet. Getting married between the months of August and October? Please inquire about releasing butterflies at your outdoor wedding. Call (413) 665-2805 for more details and pricing. 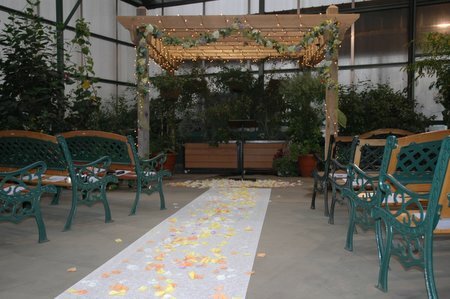 We have two ceremony locations inside the conservatory. All weddings take place after business hours. and final payment is due two weeks before the event. or applied to a rescheduled date. Check out Marx Entertainment for your reception!